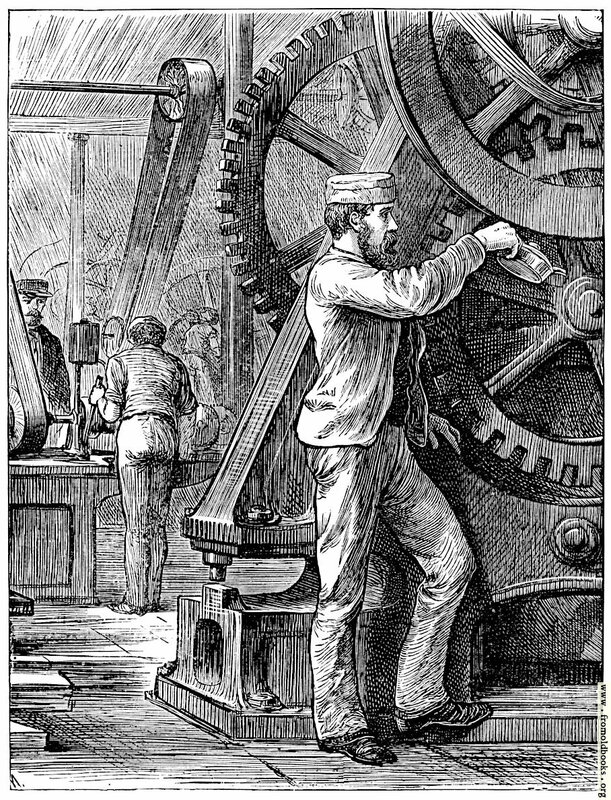 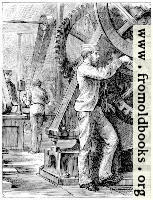 A bearded man stands next to a machine made from giant cogs and wheels; he is oiling an axle. 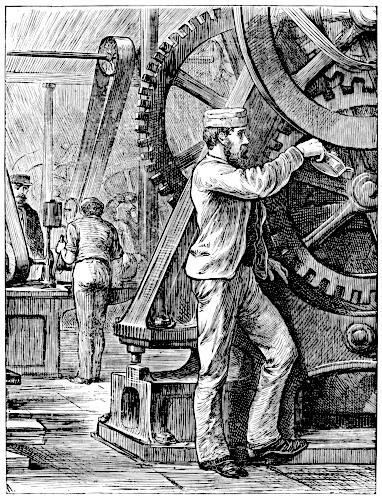 In the background behind him is a counter where a person stands facing away from us and towards a man on the other side of the counter; the person facing away has one hand on a large lever. 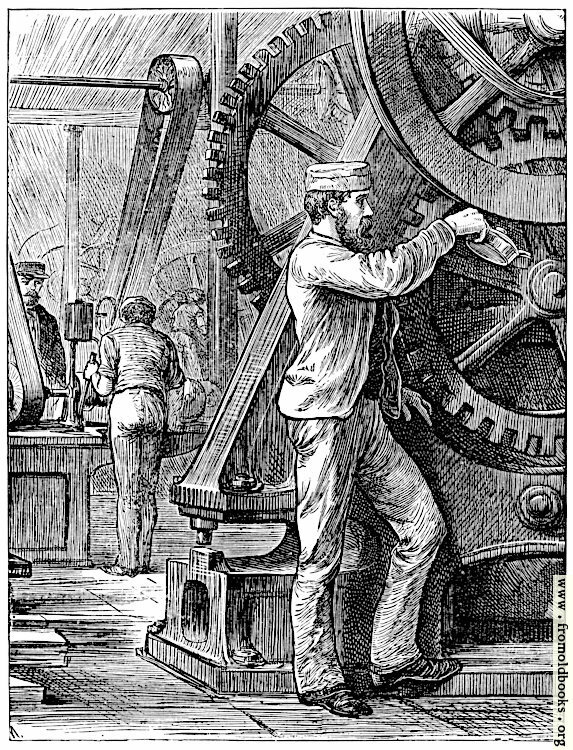 In the background, more machinery. 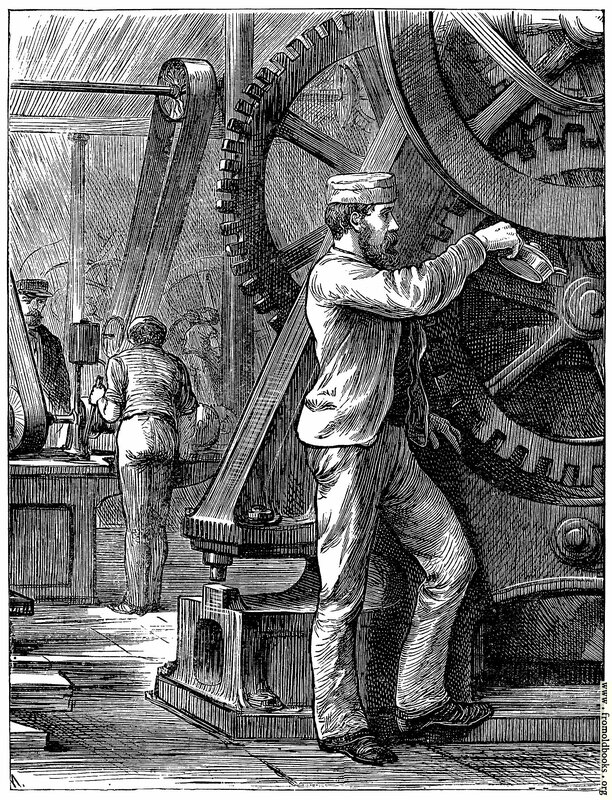 The text is credited to a Mr. Power, from “The Oiled Feather” but the illustration itself is not credited as to artist.